REVIEW: I’ve long believed that jazz improvisations on top of a solid, cracking reggae rhythm section sounds great, but it’s just not something I hear often enough. Now comes a new Brooklyn-based band dedicated to just that concept, playing the songs of Bob Marley & The Wailers’ Catch A Fire. Some of the tracks here are a little too sleepy and smooth for my taste. But when the rhythm section gets up a righteous head of steam (as on tracks 1 and 9 and the latter part of track 7) and the soloists cut loose (especially trombonist Mark Miller throughout, and guest guitar-shredder Brad Shepik on 9), that’s when this album delivers everything I want out of a jazz-reggae fusion. It’s nice to see a new generation of musicians working out this concept; I hope they stick with it because they’ve got a good thing going here. 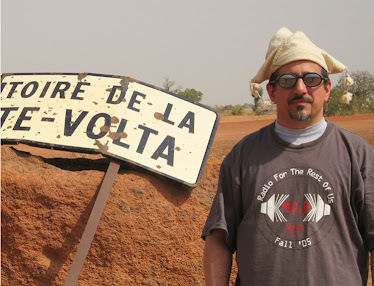 I've been a fan of the Analog Africa label and its enterprising founder Samy Ben Redjeb (pictured above in Benin with a cache of 45s) ever since I picked up on its first title some time toward the end of 2006. 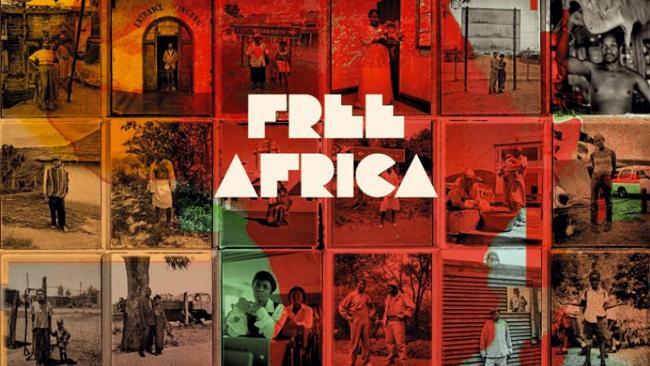 I've learned that you can count on each Analog Africa release to deliver the goods: criminally underheard music (usually previously unreleased in Europe or the USA), high quality production and mastering, vintage photos and intelligent essays in a well-designed package that's well worth owning, with each song fully licensed so the artists receive the royalties they deserve. This week on Global A Go-Go, the entire program is devoted to Analog Africa's nine-release catalog. 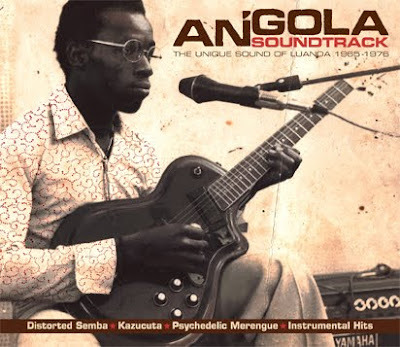 I'll play you some of my favorite tracks from each of Samy's projects, with a special emphasis on his latest, Angola Soundtrack: The Unique Sound Of Luanda 1968-1976. Also this week: some rock en espanol from all over the Spanish-speaking world; the Garifuna-Senegal connection; and smoking-hot African dance music that draws its inspiration from Congolese soukous. This set is very highly recommended, both as an excellent introduction to African popular music and as the kind of well-curated set that will inspire folks who are already fans to seek out additional sounds. Nicely done. REVIEW: The Garifuna (Black Carib) people of Central America are the descendants of West Africans who survived both the 1675 wreck of a slave ship and their expulsion from the Caribbean to the Central American mainland. Against all odds, Garifuna culture has survived and is now flourishing. The best-known Garifuna singer, Andy Palacio of Belize, was on the verge of international stardom when he died in 2008. With this, his second album, Aurelio Martinez of Honduras now establishes himself as the new standard-bearer for Garifuna musical culture. Garifuna traditional rhythms such as punta (track 5) and the reggae-like paranda (track 11) provide the underpinnings for Aurelio’s beautiful voice and guitar playing. He’s spent a lot of time in Senegal over the last two years, and this album superbly integrates Senegalese and Garifuna styles on several tracks (4 and 7 for example). Ivan Duran’s thoughtful production gives just enough (and not too much) of a world music sheen to make the music accessible to first-world listeners. This album will deservedly make Aurelio a major artist – check him out now. It's always an auspicious sign when the first new release of the year is a great one. The first new thing I heard in 2008 was Venus On Earth by Dengue Fever, and it ended up as my album of the year that year. 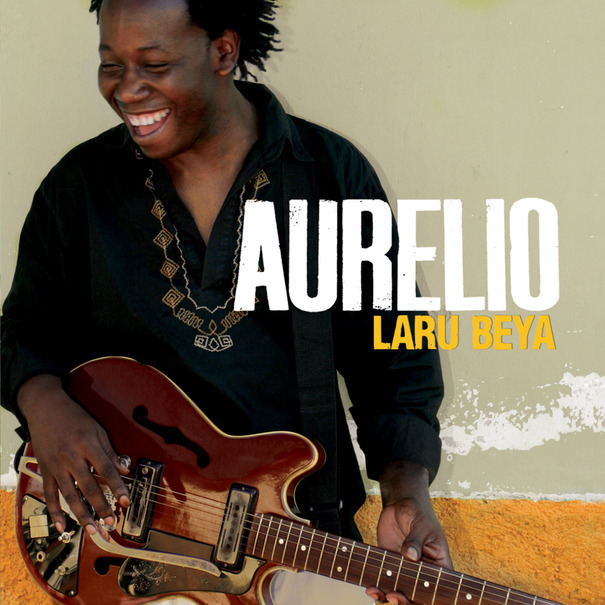 2011 got started with Laru Beya by Honduran Garifuna singer Aurelio Martinez -- it's going to be a strong contender for the year's best as well. You'll hear two tracks from this one on today's program, inside a half-hour set of Garifuna music from across Central America. Also this week: a little bit of exotica, including a new remake of the extraordinary, inexplicable music of Esquivel; a set of Asian music, from throat singing to psych-rock; and some desert blues-rock, with the emphasis on the rock.